It’s surprising how many of us own cars here in Singapore. Between the ever-increasing COE prices and high ERP taxes, maintaining a car can easily cost as much as it takes to raise a child. Not that I’d be the best person to ask, of course, seeing as I have neither. But Singaporean car owners are finding more and more creative ways to pay less. 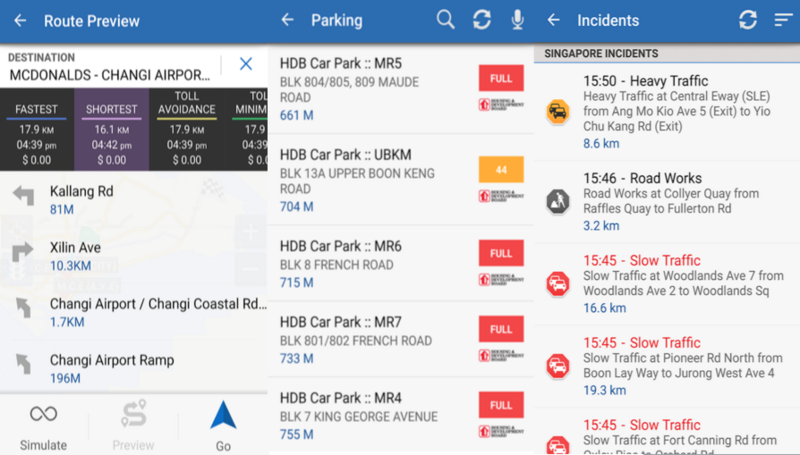 One way of doing so is via mobile apps such as Park&Go @SG, which helps drivers locate parking lots and therefore waste less time (and petrol) on the roads looking for parking spaces. 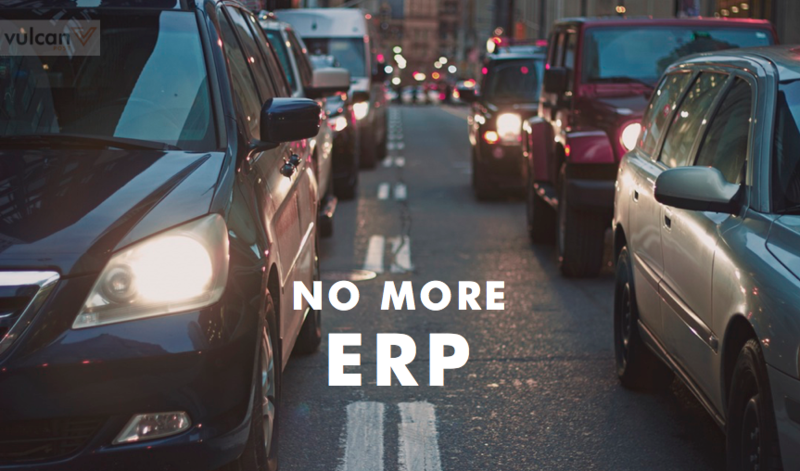 And now, there’s yet another app that wants to make it less expensive for Singaporeans to own private vehicles. The app in question is Galactio, and as far as comprehensiveness goes, it’s one of the more well-rounded mobile apps around. Apart from helping drivers locate parking lots, Galactio also facilitates drivers with taking ERP minimised routes, guides them towards petrol stations with the cheapest petrol, warns them about bus lanes, accidents and cameras, and even directs them to the nearest mosques at prayer time. Yup, it is quite a mouthful, but this means you won’t have to download at least four different apps separately just to stay updated about road conditions. According to the Galactio team, the app was created not only to help drivers navigate, but also to minimise the need for users to toggle amongst various apps to get to the information they require. This is a big help, both in terms of convenience and safety: without the need for drivers to juggle with various apps on the phones while driving, they’ll be able to keep their focus on what’s ahead of them. Another goal of Galactio — and this is a big one — is to remove traffic jams from the roads by modifying users’ driving behaviours. 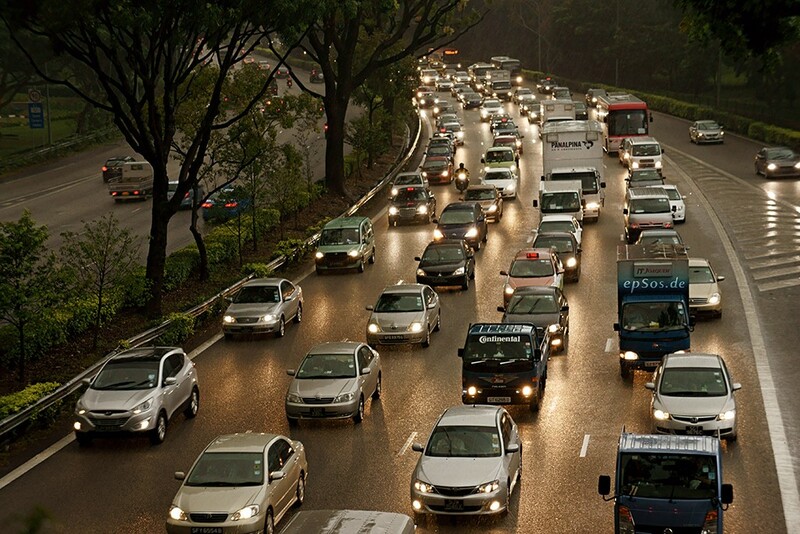 As anyone who’s gotten stuck in traffic on the expressway at peak hour will know, traffic congestion is a pretty major issue in Singapore, and it’s only set to get worse with the rising number of cars on the roads. And to do this, the creators of the app have included a traffic avoidance feature where drivers can select an alternative route to take whenever they’re alerted to congestion in the roads ahead of them. The team is hoping that this feature will prevent traffic jams from forming in the first place. It’s an ambitious goal to set for an app that’s currently only still in beta (on Android), but with the time I’ve spent with Galactio, I do think they have the necessary features to make this work. Overall, I do like the idea behind Galactio. 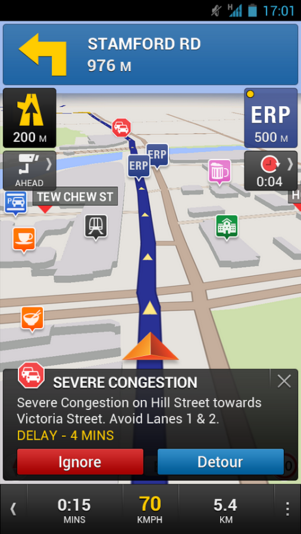 It’s handy to have everything I need in one app, and while I don’t usually like to rely on apps for driving (unless it’s GPS), I might just have been convinced to start using Galactio simply because it makes information so easily available. That said, Galactio does come with its own set of issues. Its map, for example, takes some getting used to: it uses too many bright colours, which can get slightly distracting if you think about the fact that you have to steer your car while taking note of whatever’s appearing on your phone screen. The screen is also too cluttered for my liking. What would be great is if I can select for only certain features to show up, rather than having all of them appear on the map at once. Update: For Christmas, Galactio has launched an in-app game called Lollipop Trail, which allows users to collect lollipops whenever they take a detour to avoid congested roads. With enough lollipops collected, users will get to win petrol vouchers.